For those of you to whom Embroidery looks like an art out of reach, here is your magical mantra to step in the world of embroidery and embellishments. Introducing you to the one of best embroidery machine for beginners, the Brother Designio DZ820E meant to add a personality to all your boring clothes. The monogramming machine offers an expansive embroidery area of 5″x 7″ which means that larger designs can be embroidered like a dream. With multiple hoops to work on various projects simultaneously, the product is here to pull that designer out of you skillfully. The starter kit comprises of all the essentials you need like- the embroidery threads, steel scissors, fabric stabilizers, and extra bobbins, all in excellent quality, so you have the best guide to your embroidery start up. Brother is known for making its products user-friendly and beginner friendly. 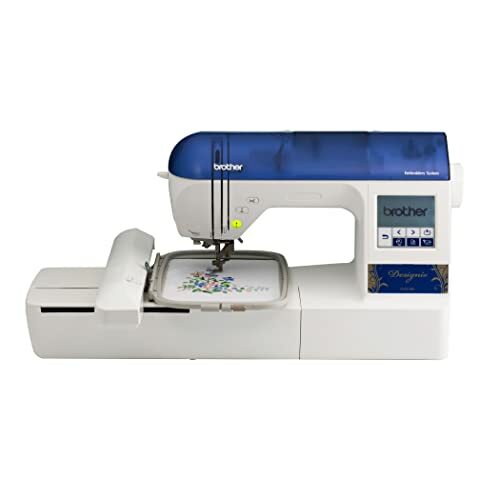 The same reflects in the Brother Designio DZ820E with advanced needle threading system – Easy to thread, stitches beautifully. An automatic pushing of the thread through the needle is just a switch of the lever away. The machine automatically trims the thread at the end of each embroidery segment. Built-in easy-to-use LCD backlight guides you through designing tutorials, and design editing feature making Designio DZ820E the best Brother embroidery machine for beginners. This computerized embroidery machine allows you to trace your style statement onto the garment. Runway model looks or Home decor items; you have access to the machine that can manifest them for you with its 136 built-in embroidery designs. 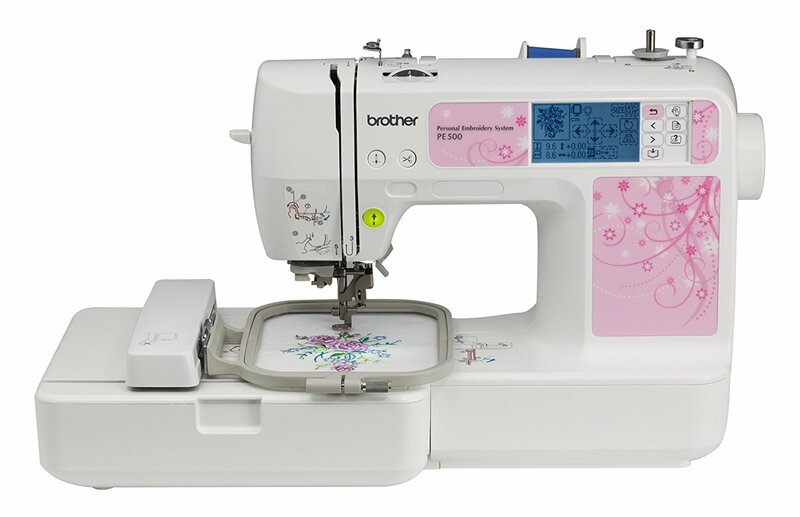 Delicate floral designs, classic quilt patterns, or dainty scrollwork, you can give all your garments an embroidered edge with Brother Designio DZ820E. 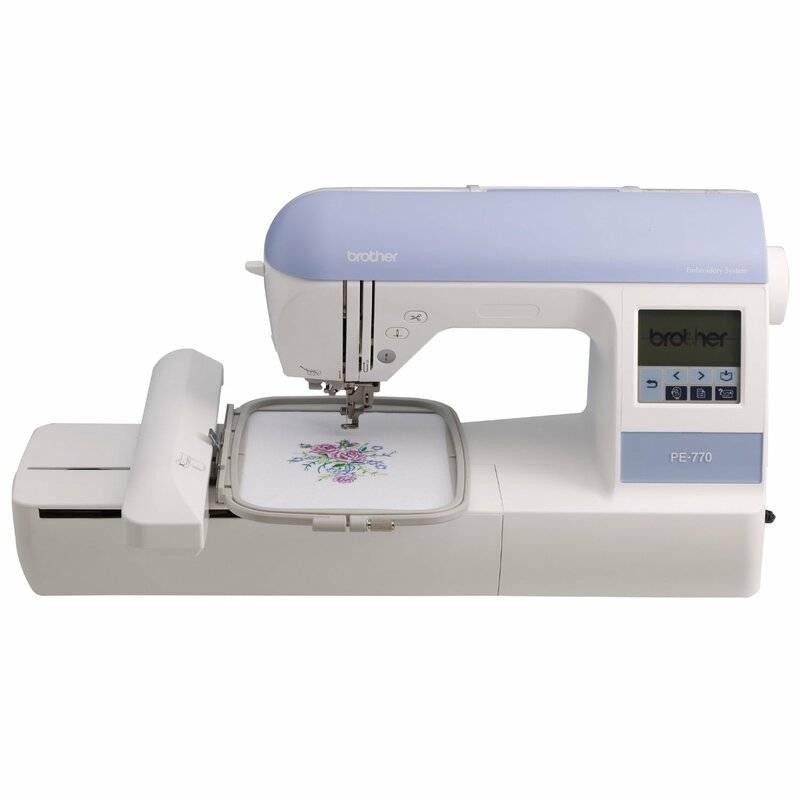 The all-in-one DZ820E with all the added accessories performs best embroidering tasks for home use for beginners. Bring the old solid colored outfits at the front of the shelves with the Brother Designio DZ820E embroidery machine. You will be surprised to count ways you can give your apparels a new look, thanks to the option for embroidery download that offers a choice of unique designs in 5000 patterns. You can now customize your boring clothes by adding different patterns of embellishments and embroideries that help garments achieve elegance and personality. The brightly lit embroidery area makes working on dark fabrics a dream. 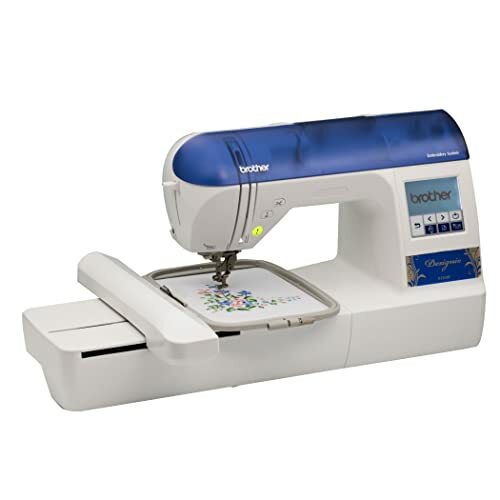 A top-load, drop-in bobbin ensures your bobbin stays in place and makes fine sewing quick and convenient. The exclusive Brother quick-set is mean to be jam-resistant to make hassle-free sewing possible. All these cookie points boast great value for the money and make Brother Designio DZ820E the best choice for beginners as an starter embroidery machine. Reasonably priced, Brother Designio DZ820E is least you can invest in giving your clothes personality and added texture. The numerous designs that come with the product, built-in memory pockets to store thousands of designs, and a USB port- You don’t need to invest in new clothes. Despite all the benefits, there are a few shortcomings about this embroidery machine. According to some reviews, bird nesting of the thread was a major problem. Jamming and breakage of thread were another similar problems reported by some customers. See also: How to Repair a Brother Embroidery Machine? Finally, not throwing the machine out of the window due to its knotting and threading problem will save you a lifetime of regret. The problem can actually resolve if you simply Google the problem or watch a few videos on Youtube to find your way out. These are few tips that can help you begin your embroidery art right away without much hassle. The machine overall is a lot of fun to work upon. With tons of qualities towards getting that dream design sewn to reality, the Brother Designio DZ820E is a splendid mid-range machine. It is convenient, beginner-friendly, and available at a price that I would totally recommend the product without hesitation.